The throttle bodies on this page are all designed for multi-point fuel injection systems. They require an intake manifold that can be fitted with fuel injectors. They may have accommodation for secondary fuel injectors but those that do are not intended to be used in applications without primary fuel injectors (normally mounted in the intake manifold.) 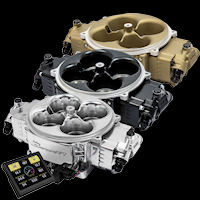 For installing fuel injection onto engines with carburetor-style intake manifolds (without fuel injector bosses) take a look at these TBI Throttle Bodies. If you’re thinking of building either a high performance or race multi-point fuel injection system f.. Replacement Idle Air Control Motor for the Holley EFI and Sniper LS Throttle Bodies (Newer "-1" vers.. 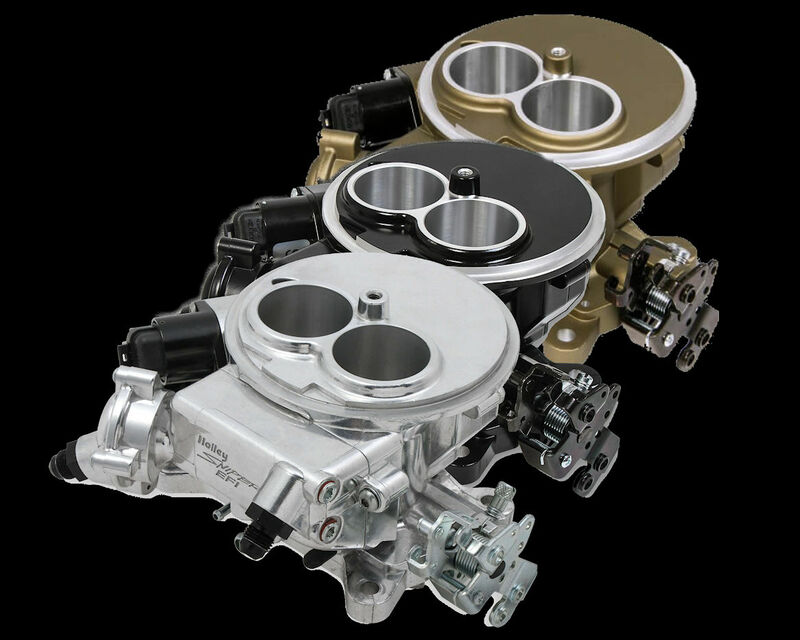 The Holley die cast aluminum four barrel throttle body is designed to fit on any square bore (4150 s.. 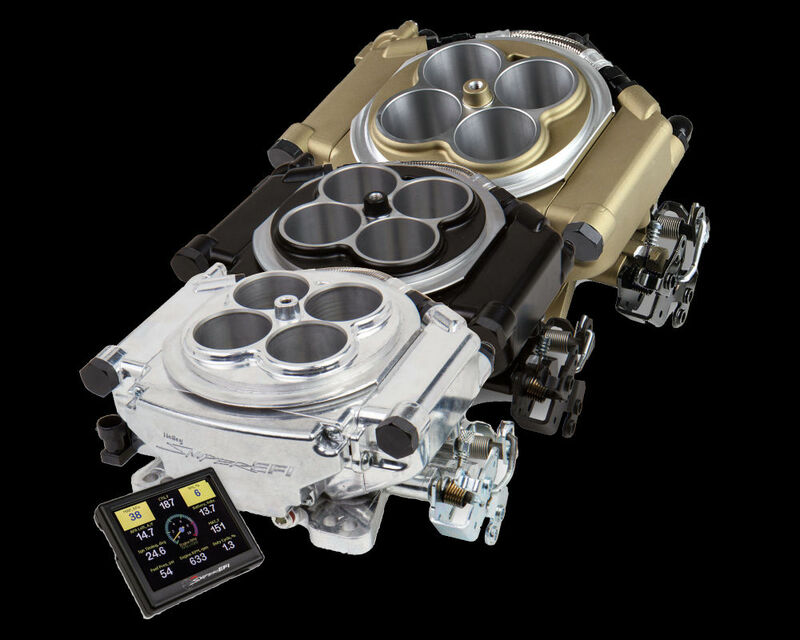 If you're thinking of building either a high performance or race multi–point fuel Injection system f..
Holley’s new 1000 CFM Throttle Body shares the same air entry area design that powers every NASCAR S.. So let's say you have a 4150 / Square Bore intake manifold but would like to upgrade to a more moder.. This has got to be the baddest throttle body on the market for Dominator-flanged intake manifolds. &.. The Holley 112-581 105mm throttle body for GM LS engines fits the following intake manifolds:H.. The Holley 112-583 105mm throttle body for GM LS engines fits the following intake manifolds:H..